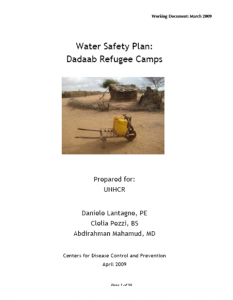 Water safety plan produced by CDC following a technical support visit to Dadaab in 2009. The report contains. An overview of Dadaab water supply system.